Thank you for tuning in this week! I’m sorry show notes are a bit later than usual this week – I’m not sure where this week is going?! Thank you to those who support the show through Patreon – you are the ones who keep the show on the air month after month! Welcome to new and returning viewers, as well! This week, the show was live streamed so the sound is slightly off as usual when it is pre-recorded. Hopefully we will be able to fix that over time. I chat about Tour de Fleece which is more than half over and please remember to share your projects in the FO thread. I share a finished spin with you guys that I have been working on for a while – I am totally in love with this Tunis fleece. Lastly, I am spinning some SW BFL that my friend Charlotte dyed – it is incredible and reminds me of the colours of a swamp (in a really good way!). I’m hoping to finish that up before next week’s show. Have a wonderful couple of weeks! Congratulations to Ellen who was the Patreon winner this month! I’ll pop that in the mail this week, Ellen! Tour de Fleece is almost over but grab a Ravatar from the group – all the information is here! 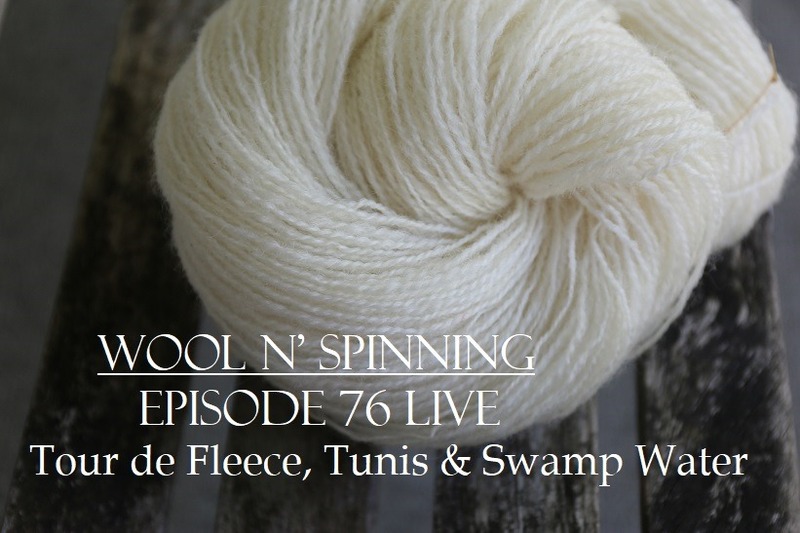 The most recent episode of Wool n’ Spinning Radio has been released – if you are a Patreon subscriber, remember you can cut and past the RSS feed into your favourite podcast app. I hope you enjoy my conversation with Jillian Moreno this month!